As a private pilot, I occasionally fly a small plane that is equipped with an autopilot. This amazing electronic gizmo has the ability to keep the plane’s wings level, maintain a set altitude and pretty much fly you to your desired destination by being linked with an on-board GPS device. Autopilots can be a very handy tool by allowing the pilots to focus on other equally important tasks such as preparing for landing, talking to air traffic controllers on the radio and most importantly, watching out for other pilots droning along on autopilot. Basically, an autopilot reduces a pilot’s flying workload so they have some extra mental and physical capacity to do other more important things. I was driving to pick up my rental car this week for a trip to Detroit and I realized that I had unknowingly engaged my internal autopilot called a habit. When was supposed to continue straight, I unthinkinly turned onto the road that I usually take to go to my office, instead of staying on the main road to go to the rental car location. As soon as I turned, I abruptly re-engaged my conscious driving with an eye opened laugh. Hey,where ya going Andy? I actually said aloud. Who was really driving at that moment I thought? Certainly not the me that was wanting to get to the rental car place. I muttered to myself about the force of habit as I considered my options to get back on this morning’s course. A couple of turns later and I was consciously heading in the right direction. Habits are VERY strong parts of most of us. They, like autopilots, tend to kick in so that we can do other things. They are not necessarily a bad thing, especially when it’s a good habit like flossing or exercising. The problem is that our habits don’t have a GPS link to keep us headed in the direction of our desired destination. They tend to keep us flying towards where we’ve usually been or sometimes they even keep us stuck right where we are in a holding pattern. I’ll admit that in many ways I am a creature of habit. There’s a general consensus that it takes at least 20 days of continuous conscious effort to change a habit and to develop a new habit to replace the old one. 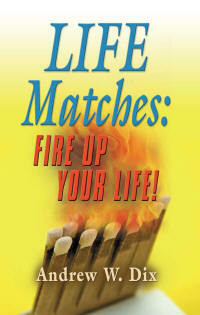 That is why I came up with the pack of Life Matches to serve as a physical reminder to carry with you for at least 20 days to remind you to use your natural God-given strengths, so that you can live a life that is Fired Up! Creating new habits is a challenging and time consuming task. But if the habits can take you where you want to go safely, then they are certainly worth the effort. We can learn to be mindful of our habits and examine each of them to see if they are still useful to us or if they are perhaps keeping us from being the us that only we can uniquely be. So here’s an opportunity to take some time out and do a quick life system check of your habits. Think about your day up until the point that you are reading this post. Make a list of the habits you have used to get you to this moment. Be honest with yourself, no one else is going to read your list. If you could have done something with your eyes closed (maybe you did do it with your conscious eyes closed) then you have probably discovered a habit. Next to your habit, place a Yes or a No to note if you want to keep it or if the habit needs to be thrown out or replaced because it is no longer useful. Next review yesterday and see if you can detect a few more of your habitual behaviors. If you’re at a loss, you can always as a spouse, friend, or close family member who will no-doubt take great pleasure pointing out many of your habits. About this time, you should receive a loud scary warning from one or more of your at-risk habits, letting you know that from the habit’s perspective you are about to make a horrible mistake by replacing or deleting them. Habit’s are very convincing in their pleas, so be prepared to be firm with yourself in your mental housecleaning. Thank the habit for whatever purpose it has served up until this point, and then send it packing. It’s usually best to replace an outdated or unwanted habit with a new and improved habit. Our brains hate a vacuum and may grab whatever potential new habit is out there to fill the space of the old. That’s why we might decide to eat junk food to replace the old habit of smoking, etc.. Try focusing your attention on what you WANT to have happen and not on what you DON’T WANT to have happen. If you want to trash your over eating habit, then don’t worry about over eating. Instead, focus on developing your new habit of eating the correct amount of healthy food. It’s a small but crucial mental trick to successful habit reform…focus on what you want and give no brain power to what you don’t want. I suggest you only try to change one habit at a time. Change is often time consuming, because you have to keep thinking about what you want and not fall back into using your old habit. Change can also be discouraging as you may not change as fast as you wish to do so. But if you stick with it, you do have the power to change your old habits. If you attempt too many habit evictions all at once, they will probably gang up on you in and convince you that it is not worth the effort and seduce you with fear so that you stay doing what you’ve always been doing and getting what you’ve always been getting out of life. Also, it’s natural to slip back into old habits from time to time. Don’t beat yourself up too badly when you do backslide. Just admit to yourself you did it and refocus on what you want to have happen and don’t worry about what you don’t want to have happen and get back on your new habit horse and ride! What habit’s are keeping you from being the ultimate, unique, fantastic, special, one-of-a-kind you that you were created to be? What can you do to build new habits to get you to where you want to go? What do you need to do to create these new habits? What’s the first step? When will you take it? I travel a lot and often times it means endless hours driving a car. My recent five hour trip from Indianapolis to Detroit came with the added bonus of an additional half-hour spent sitting in a powerless McDonald’s parking lot, waiting for a monumental thunderstorm to pass. My rented Chrysler 300 kept trying to communicate with me in neon blue L.E.D. letters. It sent me the following coded message: P R N D.
With nothing but windshield time before me, I tried to decode this message from my temporary steel traveling companion and see if I could put my mental gears in motion. To get on with your life’s travels you have a couple of choices. The first is “R” for reverse. Often times we have to motor two steps backwards in order to move forward and reverse is there to help. Reverse wants to take us to where we have already been. It’s harder to look back and try to see where you are going. Object’s in your mirror may appear larger or closer than they actually are. You must perform driver’s yoga to twist your torso to see your path behind. It’s a little uncomfortable. It’s easy to back into things. Like old bad memories that become life’s speed bumps and parking blocks. Reverse is sometimes necessary, but it’s more about where you’ve been and less about where your headed. N—Neutral allows you to momentarily slip into limbo. It’s a place to pause for a second to confirm you are really ready to get it into gear and move on. If you breakdown along your way, good old “N” will let you coast or get a good samaritan’s push. Neutral is not a safe place to stay. Gravity can work on you to pull you in directions you may not want to go. I like the feeling of being in control provided by the other gears better. D—Drive is where the action is! Me and big “D” spend a lot of time together. I like to think that I have a lot of “D” in my personal makeup but don’t want to become too driven. Drive is about moving forward, no matter how slowly in a life construction zone, to get to your final goal. Drive is what get’s you to where you’re going and hopefully gets you home. You’ve got to choose “D” to get anywhere in life. “D” can also be a little scary, because that’s where all the danger is out on the road. Combined with a “GPS” (God’s Purpose and Spirit) a person can get about anywhere with “D” and enough fuel and proper maintenance. I admit I like “D” best of all the gears. Sometimes I choose to go fast, and sometimes slow. Sometimes I choose cruise control and leave some of the driving to “D.” As life’s scenery passes at more than a mile a minute, “D” and my big “G” co-pilot take me on my life’s journey and on many adventures. Where are you headed? The choice is yours and your destination awaits your arrival. Are you stuck in park, languishing in neutral or maybe spending too much time going in reverse? 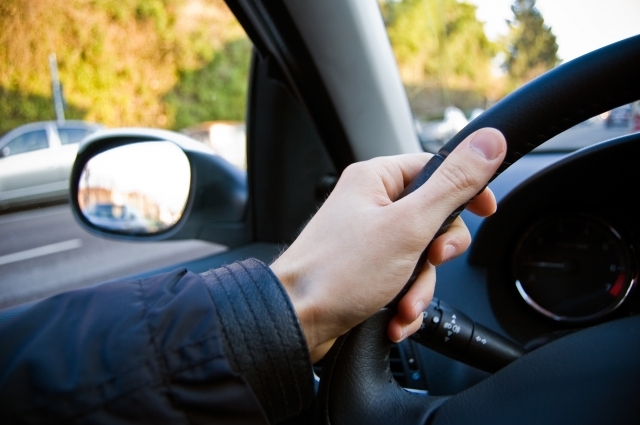 Signal your intentions, shift into drive and take your life out for a spin. If you get lost, don’t be afraid to ask for directions. If the storm is too bad to see clearly ahead, stop and wait for it to blow through. If you pass me along the way, please wave with your whole hand. Buckle up. This trip called life can be a wild ride sometimes, but it’s worth the trip! Drive safely. See you out on life’s highway. Cicadas are singing a hot summer evening’s reminder of important life’s lessons. Though I am not an entomologist by any stretch of one’s imagination, I believe the life of a cicada is not an easy one, much like ours. Mother cicada does her best to give her children a secure start by laying her eggs securely inside a healthy tree branch. The young cicada hatchlings are off on their first great life adventure in the form of a fall from their tree branch to what will be their new underground home. They grow up in a dark subterranean world. But somewhere inside of this alien looking creature, is a destiny to be much more. They each must long in their inner bug being to fly and to sing cicada’s love songs in the tepid air of summer’s afternoons. I imagine their friend Earthworm laughing a wormy cackle if the cicada could somehow share its dream with him. All a part of his life’s plan, our cicada friend awakens to find himself trapped in his old shell that now seems incredibly smothering and tight. He stretches and writhes in pain only to break free from his old self and reveals to his disbelief a new self, complete with wings! 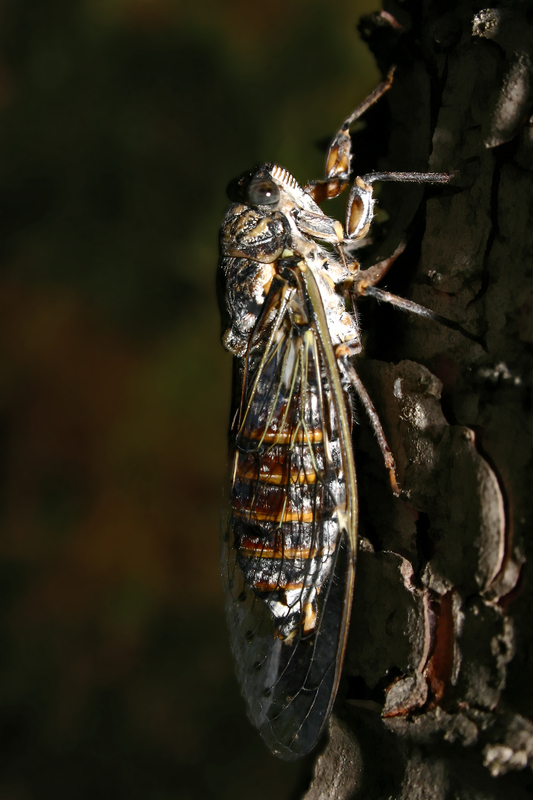 He takes a huge breath in amazement and let’s out a loud click that is a sweet sound to his cicada ears. “Wings and a song!” he exclaims with each successive click. He knew he always had it in him to sing and to fly! As I sit on my back porch typing to the pulsating drone of the cicadas’ love serenade, I am left to wonder what purpose and destiny has God whispered into my soul? What fears and comforts must I shed in-order to joyfully sing my life’s song with loving abandon? Will I be too afraid to fly and fail to find my reason for being? Dr. Wayne Dyer admonishes people saying, “Don’t die with your music still in you!” I listen and hear my cicada neighbors clicking their enthusiastic agreement. Damn the wormy so-called friends who try to keep you mired in the darkness of life’s muck! Your inner heart is calling. It may be trying to lead you to a metamorphosis of amazing adventure and opportunities that will allow you to live a life that is truly on-purpose. A purpose that no other creature on this planet can satisfy. You must choose to risk a fall, a climb and many life changes to grow into your destiny. It’s only natural. It’s why you were created. Author/Flier, Richard Bach says that the the simple test to see if your mission on this earth is complete is, “if you’re still here, it isn’t.” Be on a mission to learn your life’s love song. Choose to fly! Let the cicadas’ drone be a reminder to you to choose to be the best and only you that you can be! Don’t let the worms bug you! Enjoy the summer’s of life!